Designed and built by a Swedish company for foreigners visiting East Germany during the height of the Cold War, the Hotel Neptun stands 18 storeys tall in the port town of Warnemünde on the Baltic Sea. 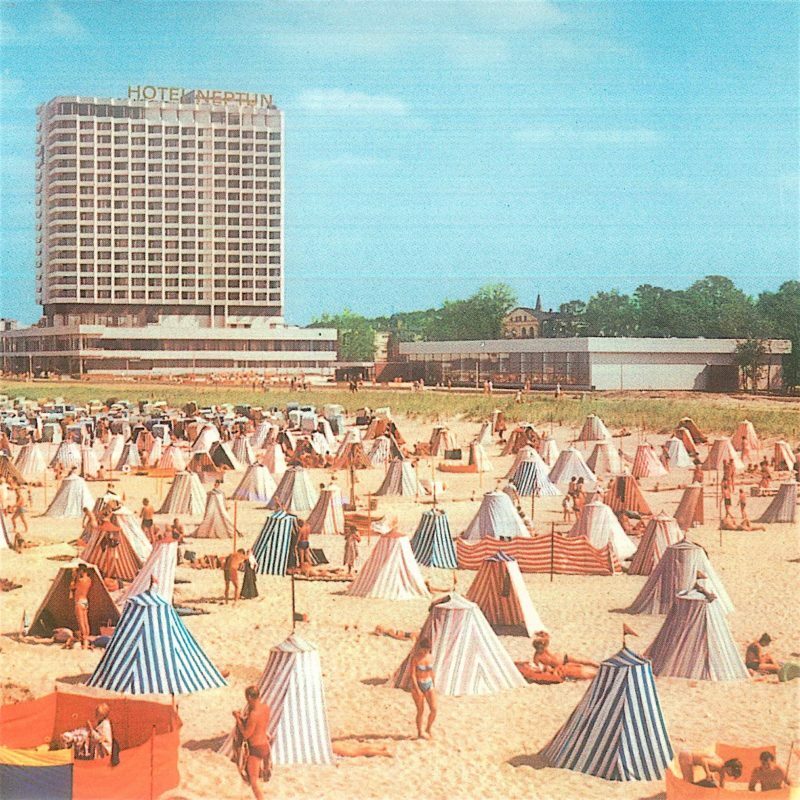 Though odd in its conception, the Neptun shares much with mid century hotels of the time: a large, rectilinear mass designed to house then-novel luxuries such as nightclubs and spas with rooms punctuated by angled balconies that gesture outwards to the sea. Still a 5-Star resort to this day, Hotel Neptun is a reminder of the kind of design mixed with optimism that facilitated a more primitive world tourism.